Jump Back on The Road Quickly With Mobile Battery Service- Call Today! You turn the key, nothing happens…Now what? You’re likely to be experiencing a battery failure. This can be a major inconvenience, especially if you are already out on the road. Luckily, companies like Piedmont Towing in Clemmons, NC offer Mobile Battery Service as part of their Mobile Roadside Assistance. They can offer a jump start if your vehicle has a dead battery while you’re on the road. Your car’s battery can fail for a number of reasons. If your car is starting slowly, has dim headlights or seems to need frequent jump starts, you could have a battery problem. It is smart to get your battery checked regularly to ensure it doesn’t fail on you while you are on the road. Car batteries last an average of four years, so you’ll want to get it checked and possibly replaced around that point. 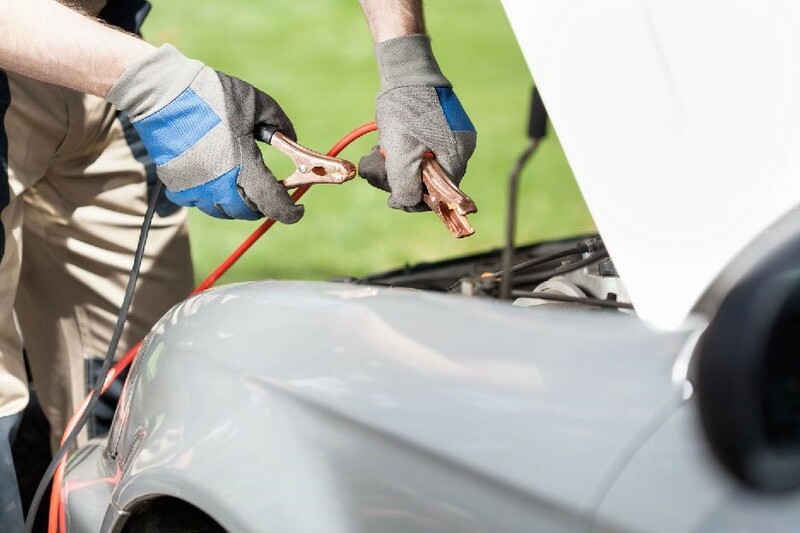 Piedmont Towing also offers mobile battery checks and Electronic Systems Diagnostics, so they can quickly and accurately assess what is wrong with your car’s battery. The Electronic Systems Diagnostics are used when your battery is working fine but you’re experiencing unexpected problems. The trouble might be elsewhere in your car’s electronics. Piedmont Towing’s diagnostic tools let us check out your vehicle’s starting and charging electrical system. So you’ll know if there’s a wiring problem or an electrical issue you need to resolve. Plus, you’ll avoid replacing a battery when the problem might be somewhere else entirely. If there’s nothing wrong with the vehicle; you probably just need a little jolt to get going again. You may have accidentally left your headlights on or had a door ajar overnight. In this case, your battery could drain itself. Our mobile jump start services will give your car the extra energy it needs to keep driving. This also allows you to avoid the inconvenience and expense of towing your vehicle to a garage. Just call a reliable tow truck company like Piedmont Towing for a jumpstart and you can continue on your journey. If you’ve checked for all possibilities but your vehicle’s battery just won’t holding a charge, you’ll have to replace the battery. Piedmont Towing will bring you a new battery that fits your car. Their trucks come stocked with a variety of batteries, so they can fit most cars right away. Their skilled technicians will remove your old battery and install a brand new one with enough power to keep your car on the road. By using mobile battery service you’ll be able to avoid a trip to your dealer or mechanic and continue your journey without any additional problems. Piedmont Towing will even dispose of your old battery for free. Now you know how to avoid a tow because of battery issues. Save Piedmont Towing’s phone number for next time you have an emergency on the road. They offer efficient Mobile Roadside Assistance including Mobile Battery Service. Call (336) 998-3000 or (866) 457-4825.